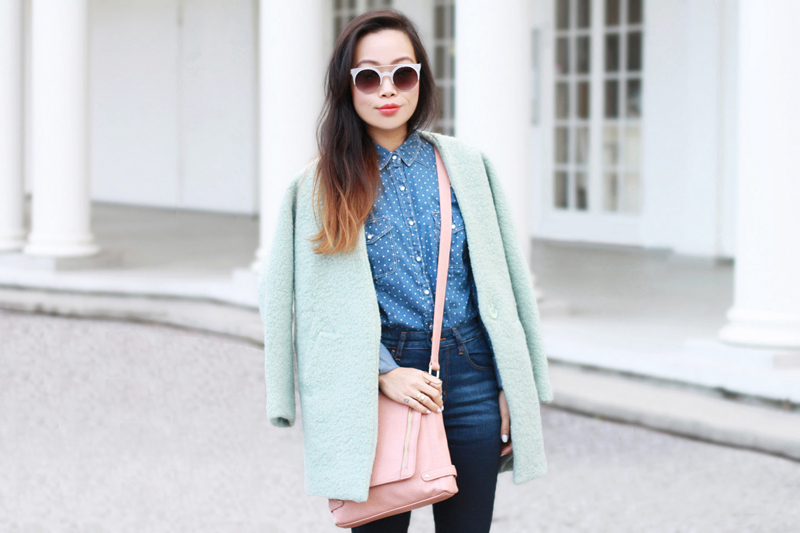 Denim on denim with a splash of pastel makes the perfect transitioning-into-Spring look! I don't typically wear alot of denim, but when I do, I like to make it a little more feminine. I am wearing a swiss dots chambray shirt paired with my favorite high rise Levi's that have a subtle ombre wash. 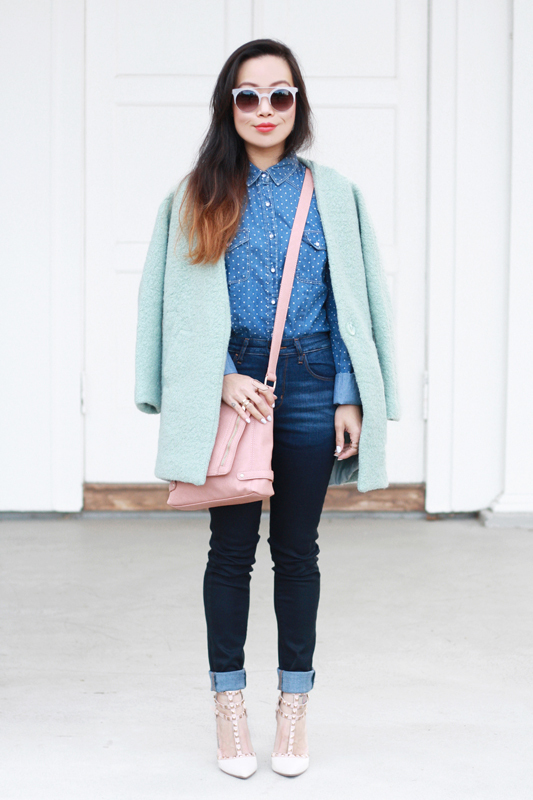 I soften up this denim on denim look by adding some pastels into the mix with a mint bouclé cocoon coat, blush crossbody bag, and strappy studded heels. 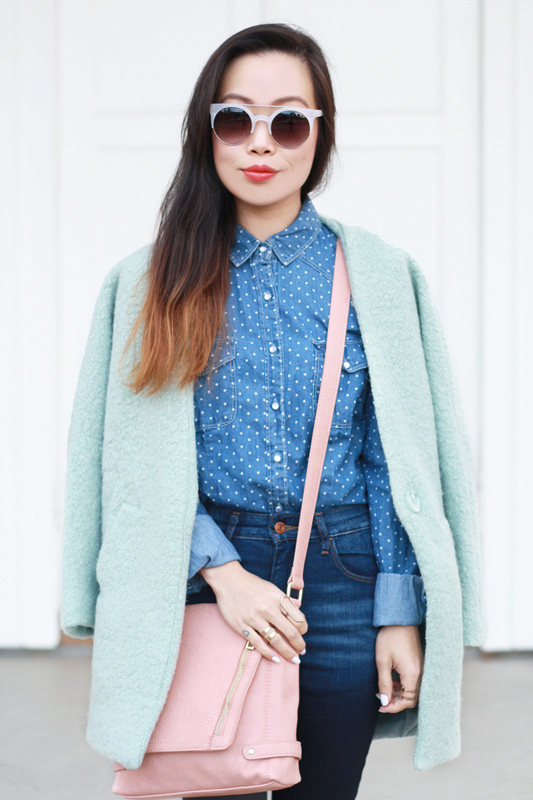 Swiss dots chambray shirt from F21. High rise ombre skinny jeans by Levi's. Mint bouclé cocoon coat c/o OASAP. 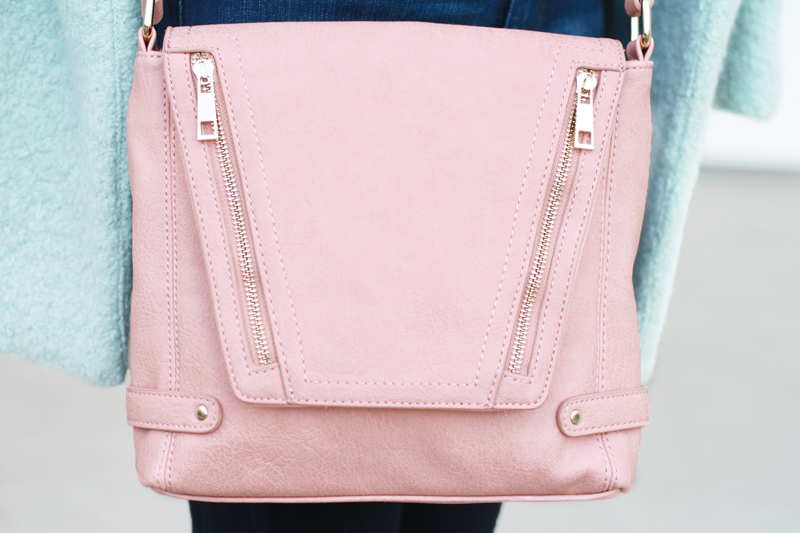 Risa blush crossbody bag c/o Sole Society. love your bag and coat! i am dying over your mint coat, it's a must get and seriously the "it" color for spring ! love love love ! Love every piece of this outfit and how you've styled it! 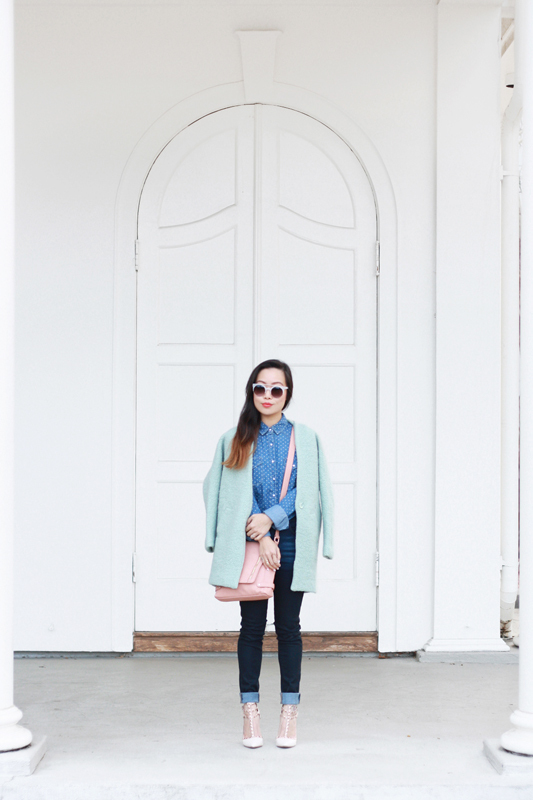 I'm swooning hard over pastels for spring. LOVE your heels! i have to be honest, i'm not a fan of the shoes, but i LOVE the rest of this look!